John Callas, Project Manager, Jet Propulsion Laboratory I was one of the optimists that felt the rovers would survive the first winter and that we would have an extended mission, but I never thought they would last through three Martian winters and continue to explore for five years. We thought that we were going to be lucky if we got three months out of these rovers. We've got five years out of these rovers, and they just keep going, and it seems like everyday is better than the day before. The mission just keeps getting better and better and better the longer it goes. Steve Squyres, Principal Investigator, Cornell University How do I feel about the fact that it's gone on for five years? Exhausted ! (Laughter) I mean, really tired! John Callas, Project Manager, Jet Propulsion Laboratory Everyone on the planet Earth is sharing in the experience of exploring the surface of Mars through our two surrogate children Spirit and Opportunity. just as if you were standing there yourself. The rovers are just about your height, and so they see the world from your perspective and just as you would see it if you were there. 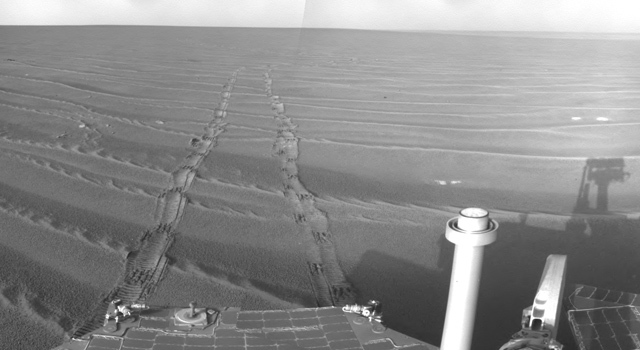 Opportunity really has been incredibly opportunistic and lucky. It basically found water from its lander. Found its own heat shield. We were able to examine for the first time a heat shield that was used on another planet, "cause it happened to land nearby. Spirit really has had to have a lot of spirit to keep going. 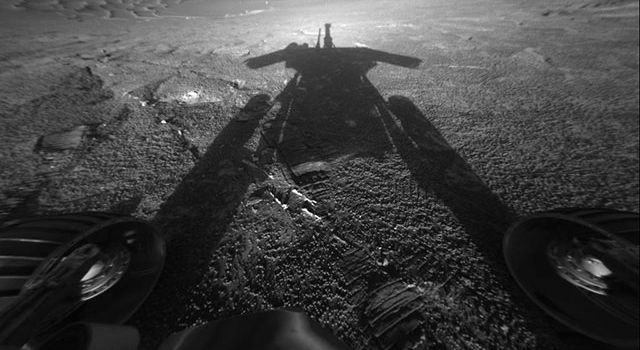 When we were hit by dust storms, we get cleaned off and that's what enabled the rover to survive this long. When we broke the right front wheel, we made one of the major scientific discoveries. By dragging this wheel behind us, we're digging this trench, and we're seeing what's under the surface. And what we're finding everywhere we look, are these salts and minerals, like silica and sulfur, that had to have been put there by hot water. This last winter when we had to park for more than nine months in the same location because we just didn't have enough power to drive, the one thing we could still do was take pictures, and we did take, over the course of many, many, weeks, sort of one frame at a time, this beautiful high- resolution, full color image of the location around Spirit. 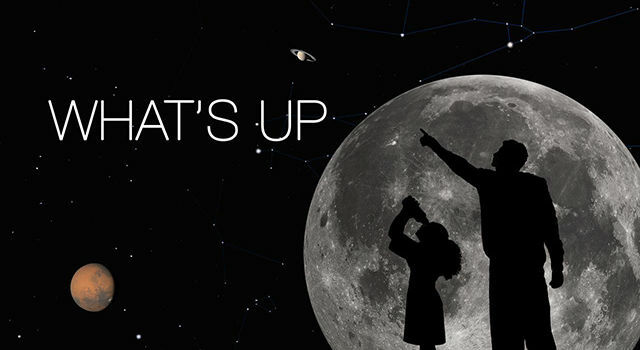 And its one of the most detailed highest-resolution images we've ever taken from the ground. Getting to Victoria was great. I mean, it was 21 months of trudging endlessly across these plains and hardly seeing the scenery change at all. I mean you know Victoria is out there. We got the orbital images. We know where it is. We know how far it is. We're measuring distance to the nearest meter and then one day, we're at the rim of it and pooof! There's just this spectacular scenery. This fabulous geology laid out in front of us. And, yeah, the combination of just what a glorious view it was, plus that was so much effort getting there. Pulling up to the rim of Victoria was, to me, one of the really special moments of the whole mission. One of the most memorable [00:03:02] and poetic images from the entire mission is an image Spirit took of the Earth. It was the very first picture that's ever been taken of the Earth from the surface of another planet -- Earth in the evening star. Mars is such a complicated place, and these are such capable vehicles that there will never come a time when we're done, regardless when this mission ends. Whether its tomorrow or five years from now, there's always going to be some wonderful tantalizing thing just beyond our reach that we didn't quite get to.